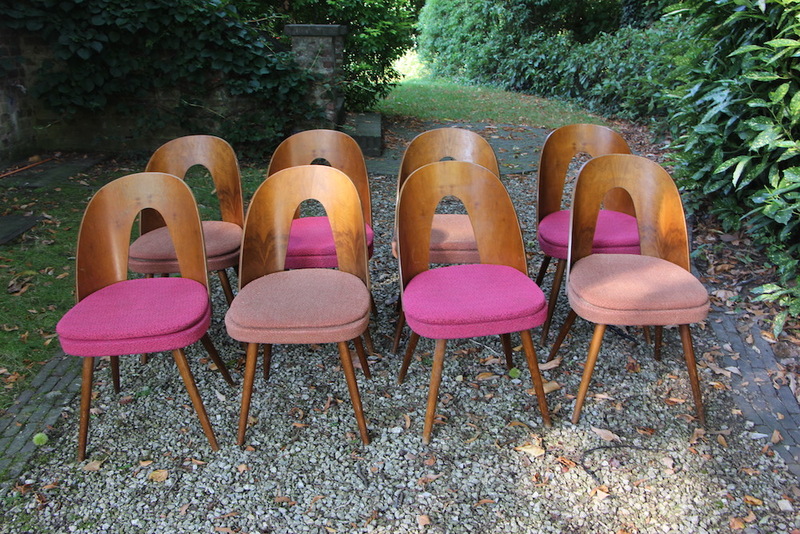 Magnificent set of 8 Tatra chairs again!! 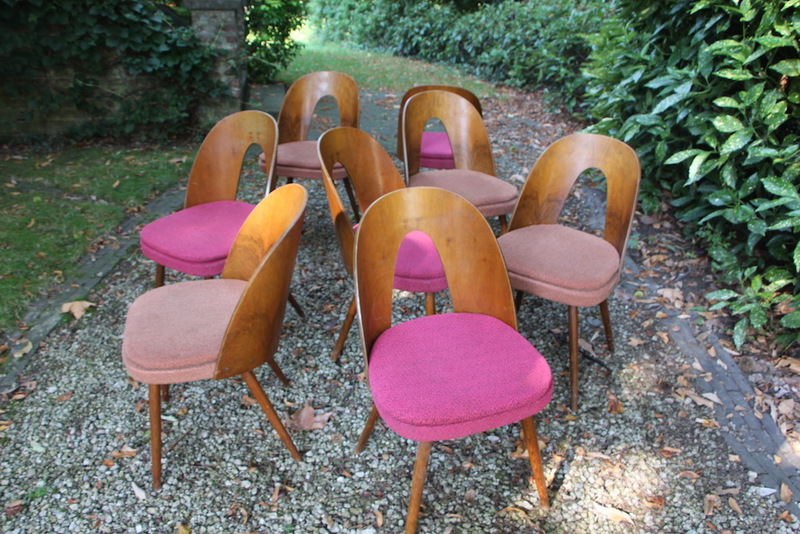 This set is totally untouched, original upholstery and wood untouched. Some scratches and signs of wear due to usage and time. No stains on the cushions. 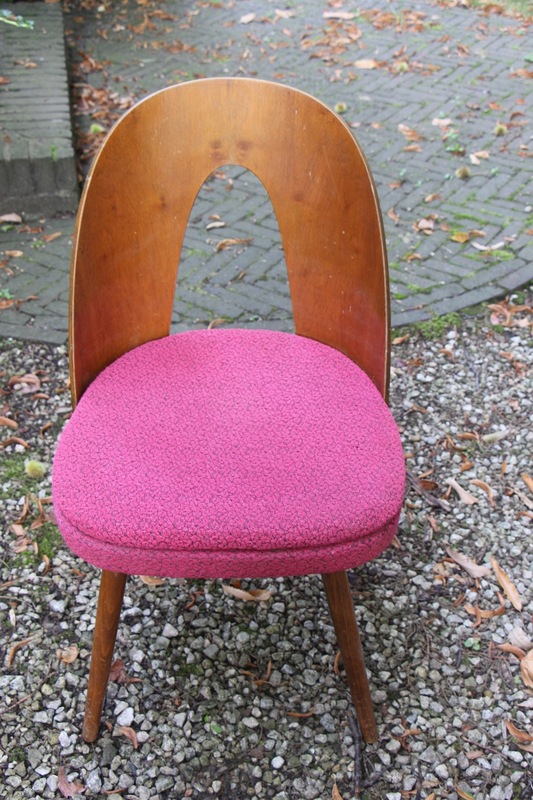 Great set with old pink upholstery. Although they could be seen as girlish if you"re a man, I agree, but Wouaw this is stunning when put altogether in a mix. 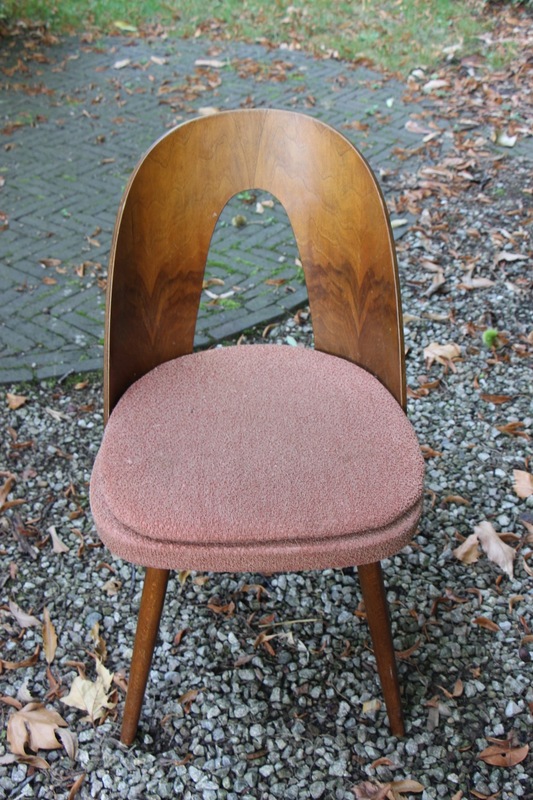 You could consider to reupholster, the choice is up to you. Like this they just look...incredibly authentic. 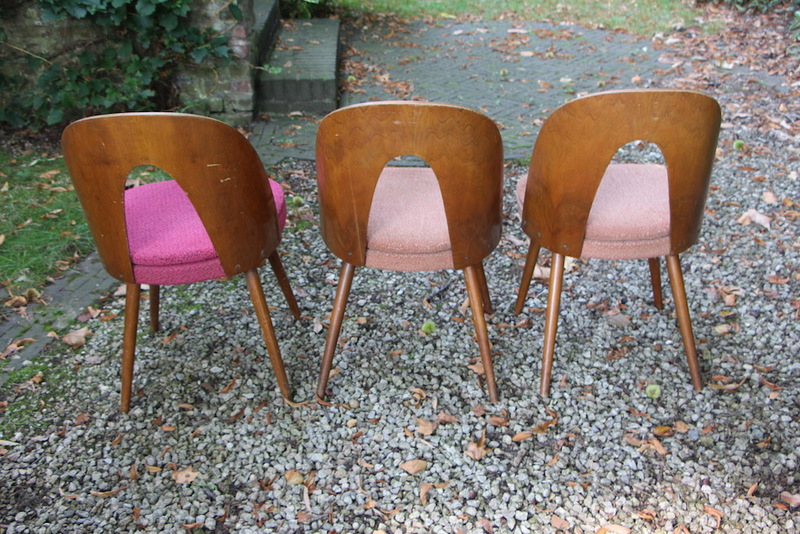 The dark wood is extremely classy, the chairs all have different shades due to patina. God I like these!